Having worked with Marvell for many years, Plextor is tied closely to Marvell’s controller ecosystem since its proprietary firmware technologies rely on capabilities of the said controllers. In recent years Plextor has been struggling to offer competitive performance in the high-end segment of the market primarily because Marvell’s Marvell 88SS1093 "Eldora" controller is a few years old. 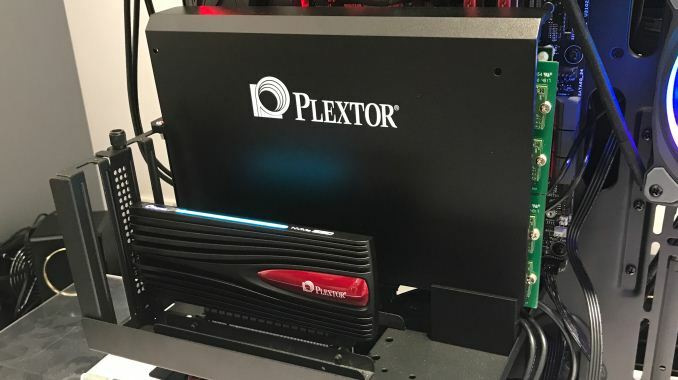 In a bid to regain some of the ground it lost to rivals, Plextor is planning to offer a rather unbeatable solution: a drive running four M9Pe M.2 SSD modules in RAID 0 mode. 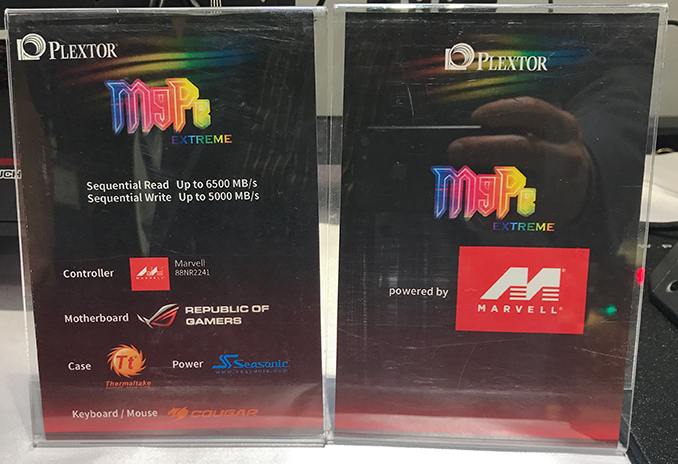 Plextor demonstrated the prototype 4-way SSD backplane based on Marvell’s 88NR2241 PCIe switch at Computex. 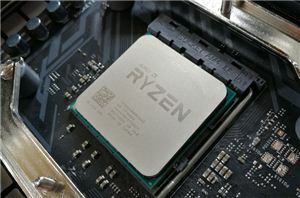 The switch has a PCIe 3.0 x8 interface on one side and four PCIe 3.0 x4 interfaces on another, thus supporting up to four PCIe 3.0 x4/NVMe drives without the necessity to bifurcate PCIe lanes by the CPU/PCH. 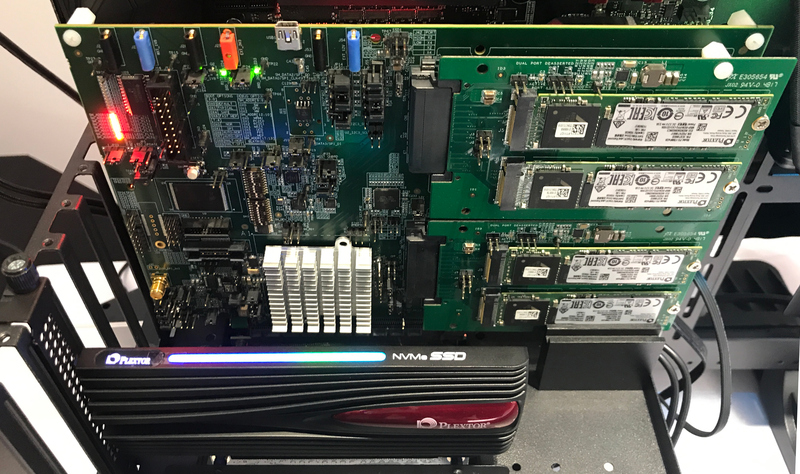 Evidently, limiting the bus width to x8 confines maximum theoretical performance of four PCIe 3.0 x4 SSDs, but it also maximizes compatibility with mainstream platforms that have a limited number of PCIe lanes and constrained bifurcation capabilities. 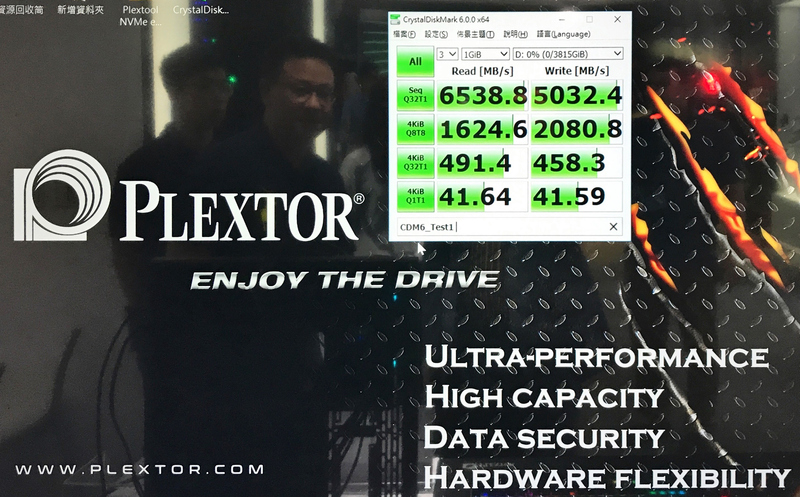 Speaking of performance, Plextor’s numbers indicate that the quad M9Pe 1 TB SSD array can offer up to 6500 MB/s sequential write speed as well as 5000 MB/s sequential read speed, which is well above the levels offered by consumer drives available today. Meanwhile, in addition to RAID 0 (stripe), the backplane will also support RAID 1 (mirror) mode for reliability. Obviously, four 1 TB drives do not come cheap, so Plextor’s ‘Extreme’ solution is clearly not aimed at the mass market. Plextor’s backplane is still a work in progress and the company does not expect to launch it before the end of 2018, or perhaps even early 2019. 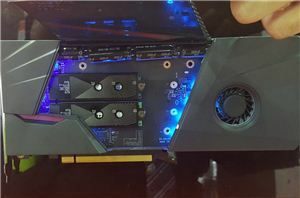 As you can see from the pictures, the backplane is rather bulky, so Plextor’s task is to make it more compact and also to cool down SSDs with hot controllers. Good news is that once the backplane is fully developed, it can be used for virtually any SSD and Plextor will be able to offer ultra-speedy solid-state storage solutions with its upcoming drives in the future (say, drives based on Marvell’s latest NVMe controllers). Plextor’s backplane will certainly not be the only product of this kind. 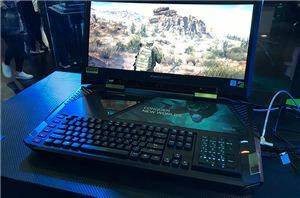 Numerous manufacturers, including ASUS, ASRock, HP, and others, offer similar solutions, but without PCIe switches. Such backplanes have to use CPU/PCH PCIe lanes bifurcation, which limits compatibility with business/mainstream platforms that have a limited number of PCIe lanes and confined bifurcation capabilities in some cases. The PCIe switch means that it would appear as a single monolithic storage device to the OS. Yeah, the point of this device is precisely *not* to be transparent. It has its own PCIe switch, so that the host computer doesn't have to bifurcate its PCIe among 4 drives. To the host, this device looks like one giant drive.